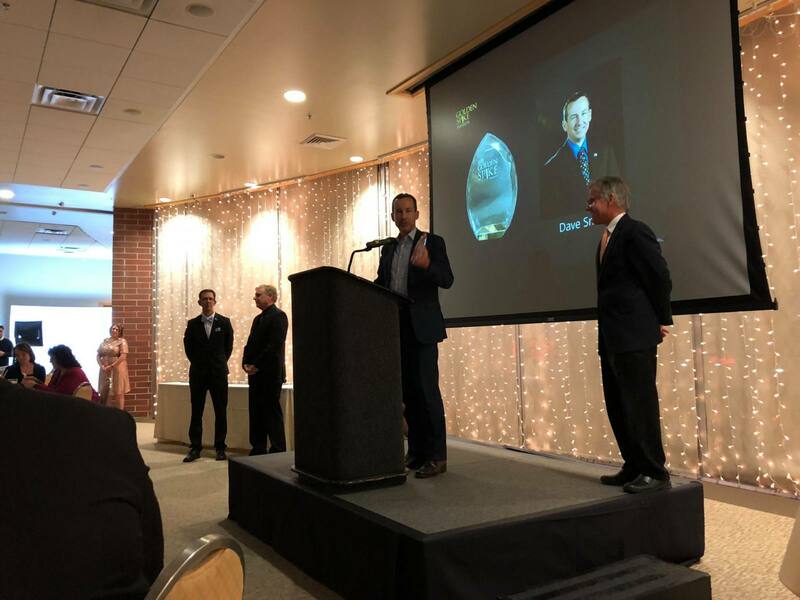 The PRSA Greater Salt Lake Chapter recently awarded Penna Powers’ Managing Partner and President Dave Smith, APR with PRSA Professional of the Year. As a native Utahn and graduate of Weber State University, Dave epitomizes the homegrown mentality of the Beehive State; he started as an intern with Penna Powers and has worked on numerous high-profile projects for nearly 25 years. Now as the Managing Partner and President of Penna Powers, he oversees the company’s long-term direction and vision. Throughout the industry, Dave is known for his strategic communication and his role as a trusted advisor to all clients. In fact, many campaigns led by Dave have won the highest public relations award in the nation—the PRSA Silver Anvil award. Dave’s work in the Olympic Transportation “Know Before You Go” campaign garnered international recognition. Dave devotes himself to his clients and currently is the principal advisor for some of UDOT’s biggest projects, including I-15 CORE, Mountain View Corridor and the TravelWise program. With Dave on the team, clients can rest assured that their campaign is in very capable hands. He doesn’t rest until he knows that a campaign will work and is being executed in a way that will yield solid results. Outside of the office, Dave serves on the Salt Lake Chamber’s Board of Governors, the United Way of Salt Lake’s Leadership Circle and is a member of Weber State University’s communications department advisory board. With his free time—which is sparse—he keeps busy being a volunteer leader/advisor with the Boy Scouts of America. Additionally, he is a member of the Bountiful High School Community Council, a high school basketball referee and has coached little league soccer with his kids’ teams for more than 15 years. An outdoor enthusiast, Dave can be found in the mountains, valleys, rivers and lakes of the intermountain region frequently. He enjoys hiking, camping, running, hunting and fishing with family, friends and colleagues. Congratulations Dave on this prestigious honor. Penna Powers flourishes under your tutelage every day. Way to go Dave! You deserve this amazing recognition! !